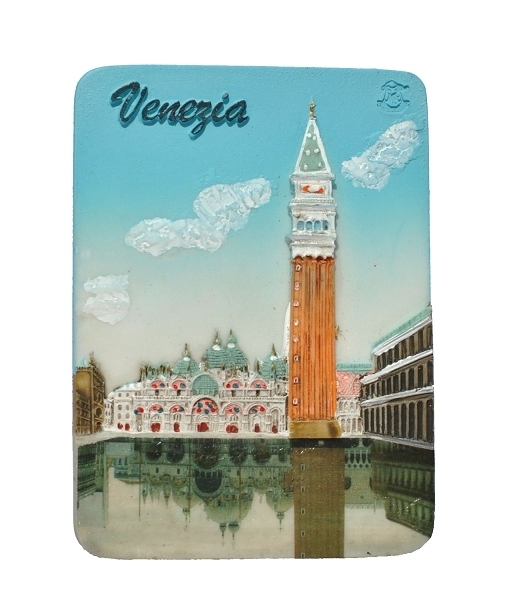 Ceramic embossed magnet featuring the view of Venezia San Marco Cathedral with Campanile, taken from the Piazzale San Marco. The cathedral mirrors in the water flooding the square - a typical situation in Venezia these days. Made of non-glazed ceramics, hand painted. Elaborated in high detail and fidelity.